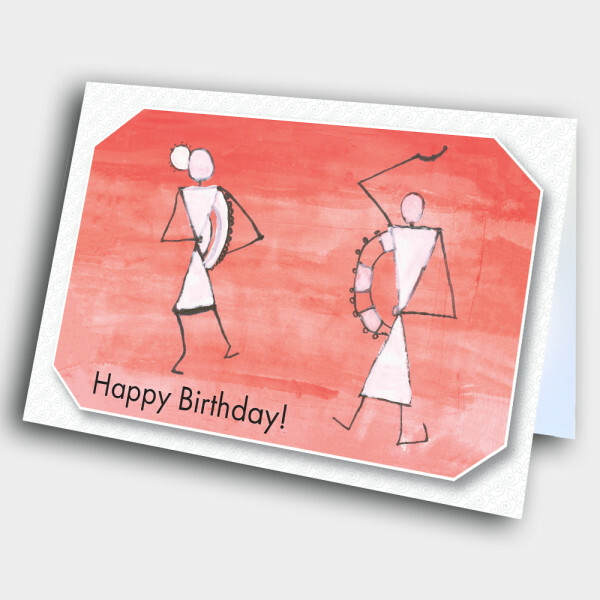 This creative and unique birthday card design is the perfect way to send your birthday wishes. 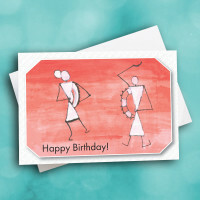 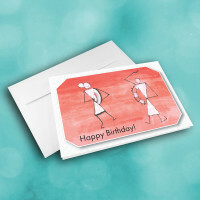 Make your birthday wishes interesting with this artistic greeting card. 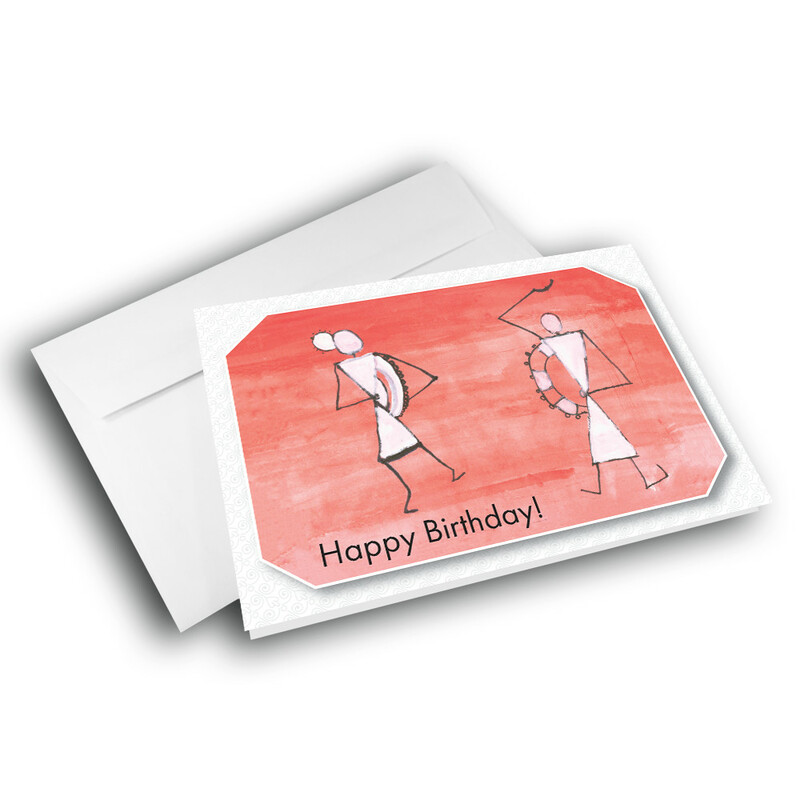 The front features two animated stick figures, set against a painted red background. 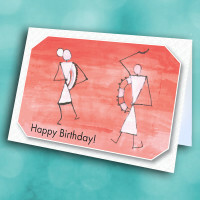 The whole design is embedded in a white patterned border, giving it the appearance of a photo in a frame. 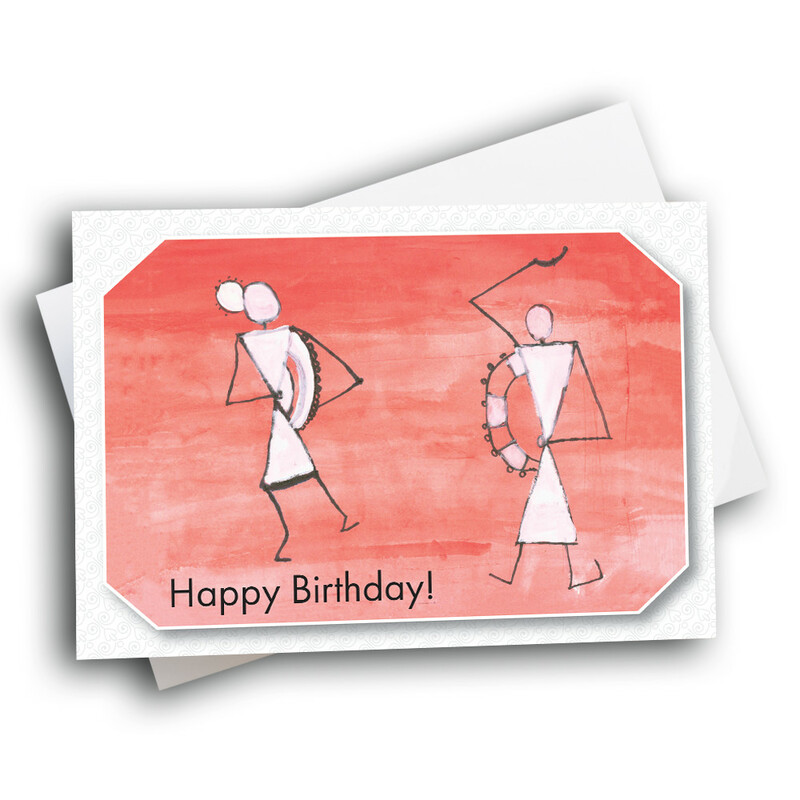 The inside can be personalized with a custom message, to make the card even more unique.